Time for our next book giveaway! 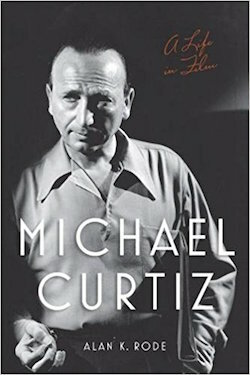 This time, CMH is happy to say that we will be giving away FIVE COPIES of “Michael Curtiz: A Life in Film” by Alan K. Rode, courtesy of University Press of Kentucky, from Oct 30 through Dec 2. (plus ONE more copy via Facebook and this Blog, details to follow in a few days). In order to qualify to win one of these prizes via this contest giveaway, you must complete the below entry task by Saturday, Dec 2 at 10PM EST. However, the sooner you enter, the better chance you have of winning, because we will pick a winner on five different days within the contest period, via random drawings, as listed below… So if you don’t win the first week that you enter, you will still be eligible to win during the following weeks until the contest is over. What is one of your favorite Michael Curtiz films and why? 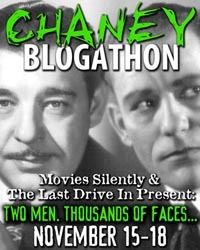 And, if you’re not familiar with the work of Michael Curtiz, why do you want to win this book. About the Book: Academy Award–winning director Michael Curtiz (1886–1962)―whose best-known films include Casablanca (1942), Yankee Doodle Dandy (1942), Mildred Pierce (1945) and White Christmas (1954)―was in many ways the anti-auteur. During his unprecedented twenty-seven year tenure at Warner Bros., he directed swashbuckling adventures, westerns, musicals, war epics, romances, historical dramas, horror films, tearjerkers, melodramas, comedies, and film noir masterpieces. The director’s staggering output of 180 films surpasses that of the legendary John Ford and exceeds the combined total of films directed by George Cukor, Victor Fleming, and Howard Hawks. In the first biography of this colorful, instinctual artist, Alan K. Rode illuminates the life and work of one of the film industry’s most complex figures. He begins by exploring the director’s early life and career in his native Hungary, revealing how Curtiz shaped the earliest days of silent cinema in Europe as he acted in, produced, and directed scores of films before immigrating to the United States in 1926. In Hollywood, Curtiz earned a reputation for his explosive tantrums, his difficulty communicating in English, and his disregard for the well-being of others. However, few directors elicited more memorable portrayals from their casts, and ten different actors delivered Oscar-nominated performances under his direction. This meticulously researched biography provides a nuanced understanding of one of the most talented filmmakers of Hollywood’s golden age. 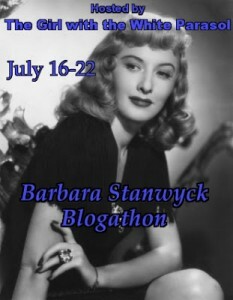 This entry was posted in Books, Contests & Giveaways, Posts by Annmarie Gatti and tagged Alan K Rode, Michael Curtiz: A Life in Film. Bookmark the permalink. “Casablanca” stands out as my favorite Michael Curtiz film because of its famous “dueling anthems” scene “Medley (Die Wacht Am Rhein / La Marseillaise)” (“companion” songs) where “La Marseillaise” harmonizes with, then drowns out and “defeats” its German counterpart. “Play ‘La Marseillaise!’ Play it” is a scene which always strikes a “responsive chord” in me, especially because of Madeleine Lebeau’s character, Yvonne, who becomes the “proud patriot” after “fraternizing with the enemy” in revenge for Rick’s previous indifference toward her, joining the singing with tears in her eyes, then shouting, “Vive la France! Vive la démocratie!” at the end of the song. The fact that this film was made during World War II, with actual refugees from Nazi Germany and Occupied Europe in the movie singing the French national anthem, makes the scene even more poignant, because they were expressing their true emotions. I do not have a Twitter account, so I am posting here to enter but cannot tweet the message. “Yankee Doodle Dandy” I normally do not care for musicals but Cagney’s performance enthralled me from the opening to the final credits. Loved this film. Well Casablanca is one of my all time favorites but then so is Mildred Pierce and so many other films he directed! I would live this book to learn more about this directing legend! I love LIFE WITH FATHER due to William Powell’s bombastic performance, and the way Irene Dunner matches him as the overly sweet spouse. I crack up every time, and wish they had filmed LIFE WITH MOTHER. I’m sure the “correct” answer is “Casablanca”, but for the number of times I’ve seen “Adventures of Robin Hood” and “White Christmas” which has to be in the 100’s, I have to go with those. As an aside, I used the name Kertesz in my first Hollywood Hearsay mystery, which was, after all, his name. 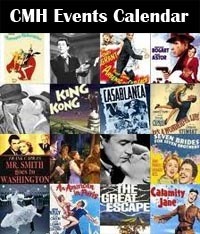 If Cinemark has a theatre near you, WHITE CHRISTMAS is showing this coming Sunday and Wednesday. Captain Blood and Mildred Pierce transformed movies for me as a boy. I watched Captain Blood as often as they showed it on the one tv channel my home town offered in the 50’s. When I moved to Pasadena, I drove by Glndale looking for Mildred’s Chicken restaurant. Curtiz’ clinkers are even good: Night and Day, featuring Cary Grant as Cole Porter, is so whitewashed and sanitized it’s hilarious. Curtiz is one of those men I would love to meet for inner in some heavenly Perino’s Restaurant. 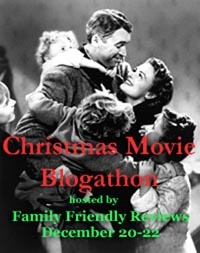 My favorite Michael Curtiz film is White Christmas because it represents Christmas to me. Also it’s my favorite film of his because it’s a film you would not expect from the auteur of Casablanca, Elizabeth and Essex, Captain Blood, Yankee Doodle Dandy. He had so much talent that he could do dramas, musicals and swashbucklers so because of his versatility White Christmas is my favorite Michael Curtiz movie. My favorite Curtiz film is Casablanca. Great story, wonderful characters, I bet it was fantastic to see it as a first run film in a theater. Thanks for the chance to win a copy of this awesome book. THE BREAKING POINT (1950) with a stellar performance by John Garfield, an unflinching film noir. Every shot composed by Curtiz is masterful. Are you kidding with this question? The favorite film of a man’s whose film career spanned over 5 decades? He directed a galaxy of stars: from Bogart to Bergman, Cagney to Crawford, Flynn, De Havilland, The Duke (I’m outta breath!) and on and on. 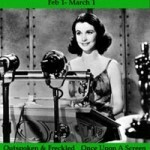 Two Academy Awards of five nominations bested by the likes Wyler, Capra and Ford. Of course, we’ll always have Casablanca, but I think I love White Christmas best of all. It is a seasonal story that includes funny and human moments. He let the actors do what they did best (as in all of his films, with most of his stars–several actors worked with him many times) I love the staging, camera angles, the sets, the music and the nostalgia of the war and post war years. I love the inside peek at the staging of a set and creating a show. I love the themes of show biz, romance, comedy, patriotism, loyalty and Christmas. Everybody knows, we’ll always have White Christmas. Though I love Curtiz’s quote, “Bring on the empty horses!”, it’s been used for a book title. It would also be easy to say “Casablanca” is my favorite Curtiz film, especially since he had to direct the actors without knowing what the film’s end would be. (Wacky Epstein brothers!) But I am a sentimental fool, and “YANKEE DOODLE DANDY” is one of my top fave films, period. Jimmy Cagney finally got the Academy Award he deserved; Curtiz paced the whole film with emotion, perhaps thought of as “old-fashioned”, but Cohan was right (to paraphrase him): when we forget what the flag stands for, that’s when some bully takes advantage of us. Curtiz, as an immigrant, surely knew that. Like all classic movie fans, I love Casablanca, The Adventures of Robin Hood and all those Errol Flynn / Olivia de Havilland movies. 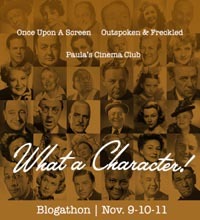 And how can we not admire Mildred Pierce, or Jim Thorpe – All American. Yankee Doodle Dandy and Angels With Dirty Faces, Charge of the Light Brigade, the list is endless. etc. The genius of this Hungarian born director was that he was so insightful in capturing “American” stories and personalities. Curtiz directed them all, Cagney, Bogart, Flynn Bette Davis – but my pick for favorite Curtiz movie is the one where he took an amateur actor, Will Rogers Jr – and surrounded him with a solid cast in “The Story of Will Rogers (1952). 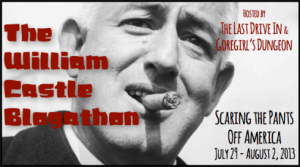 A wonderful American legendary life preserved by the careful direction of Michael Curtiz. Maybe not his “best” but a big favorite of mine. Michael Curtis was truly a legendary director. No task was too hard, or unimaginable for him. He was always up to the challenge for any film. It’s almost impossible for me to pick a favorite movie of his. The man directed most of Hollywood’s heavyweights. From Bogart, Cagney, Flynn, Karloff, and Lancaster. To Elvis and the Duke, just to name a few. His dramas were incredible, but just as good were his musicals! Because I’m forced to pick a favorite. I find myself selecting Casablanca. He just knows how to capture the attention of the audience and hold their curiosity til the climax. I can see that in the first several minuets of his introduction to Rick. Curtiz’ sets the stage brilliantly. Turing Rick’s Cafe Americain into a living breathing character in the film. By doing so, he moves into a close up on Rock’s hands signing a bill, and then that oh so subtle pan up revealing Bogart. Genius. We can see how that scene alone impacted so many future directors. Spielberg’s introduction to Indiana Jones comes to mind. I am forever indebted to him always for opening my mind to classic films. I love Casablanca and White Christmas. Casablanca is exotic and offers the thrills of being part of the Resistance during war time and a love story that doesnt end the way most people want it to. White Christmas is a feel good movie that makes the viewer believe miracles can happen even when you dont expect them. I have as many different reasons for my favourite Michael Curtiz film as there are many different favourite Michael Curtiz films. Angels With Dirty Faces is today’s favourite and why? Cagney. O’Brien. That ending. My favorite Michael Curtiz film is The Walking Dead from 1936 starring Karloff, forgotten Ricardo Cortez and The villain and Edmund Gwenn. It’s an amazing and haunting performance by Karloff and the wrongly accused man sentenced to die and then brought back to (zombie) life). I am a huge classic horror film lover and as well a big fan of Mr. Curtiz other films Casablanca, The Sea Wolf, Mildred Pierce, the unlikely White Christmas, and even King Creole!! I’m sure a lot of people picked Casablanca as their favourite Curtiz film, but I’m gonna be different and say DODGE CITY (1939). I watched it for the first time earlier this year and absolutely loved it! The cast was brilliant, the dialogue was fantastic, the villain was dastardly, and the pace of the film is just right! Also, the cinematography was stunning. The Adventures of Robin Hood, because it is fun. 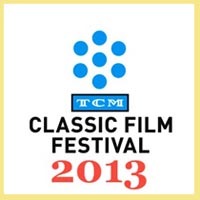 It’s the field that got me to love classic films and also seek out more of Errol Flynn and Olivia de Havilland. My favourite Curtiz film is The Adventures of Robin Hood. The chemistry between Flynn and de Haviland; the score by Korngold; the Technicolor; the pacing. So much to enjoy! Yankee Doodle Dandy is one of my all-time favorite films. I love the story, the music, and James Cagney! When he tap dances down the stairs — perfection! My favorite Michael Curtiz film is Mildred Pierce, because he took the James M. Cain novel and turned it into a brilliantly nasty film noir/women’s melodrama, with a never better Joan Crawford. The more you watch that film, the more you understand the overall premise. Oh how hard it is to pick only one movie. So I picked one of my favorite quotes “Bring on the empty horses!” I love all Michael Curtiz’s movies, and find him a fabulous Workhorse of a director. I would just love to read this book by this excellent author. Thank you for this possibility. This one is easy, “We’re No Angels” 1955. An amazing film and one of the best of Curtiz (I obviously have only seen a smidgin of his total work). Comedy is VERY difficult to pull off. Usually it falls on an actor/actress that we know is funny and we wish to laugh along with them etc. However, Curtiz takes Bogie, Aldo Tay, Ustinov etc. Not men people were clamoring to laugh with circa 1955. Curtiz pulls off an amazing feat here. A film that demands multiple viewings. While the actors are s revelation in their roles, the movie reveals its comedy through a combination of situations multiplied by the skill of this director and his stars. Favorite Michael Curtiz Film: This is a tough one. He directed so many great films! I would have to say WHITE CHRISTMAS ranks up there for me. It is a film I will watch at all times of the year, not just at Christmas time. It’s a film that never fails to lift my spirits. There was a time I would watch it every night for comfort. I am very interested in reading this book because it is written by by Alan K. Rode, an authority of film noir. Michael Curtiz directed Mildred Pierce and The Breaking Point. So I would love to read his insight on those two films. I was happy to discover Four’s a Crowd (1938) during TCM’s Olivia de Havilland Centennial Celebration. 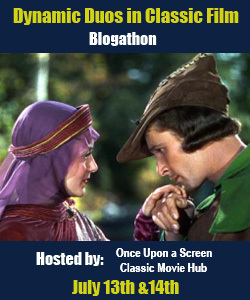 Rosalind Russell & Errol Flynn round out this comedy. The Essential Film Classic Casablanca is in a category all of it’s own. 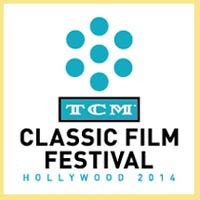 I am looking forward to seeing it on the big screen for TCM Fathom Event’s on Sunday. There’s so many different ones, CASABLANCA of course, but I also think of the adventure films he made with Errol Flynn, even though they didn’t get along AT ALL: CAPTAIN BLOOD, ADVENTURES OF ROBIN HOOD, PRIVATE LIVES OF ELIZABETH & ESSEX, and THE SEA HAWK. Curtiz certainly was versatile. WHITE CHRISTMAS! What’s NOT to love? The music, the humour, the beautiful gowns, the romance (Christmas romances are THE best), Vermont in winter with snow (eventually), did I mention the music??? Even considering the beauty and the glory of Casablanca, my favorite Curtiz film is still Mildred Pierce. Not only is it Crawford’s Oscar-winning performance, but Blyth offers up a great performance as well. They play off each other well in this unruly and dysfunctional mother-daughter relationship. Curtiz also gives the film a good pace and the cinematography is beautiful. It would be great to read up on the director who is responsible for this as well as many other fantastic films such as Angels with Dirty Faces. This is a tough one, so many wonderful movies! But if forced to choose just one, I’m just crazy about Four Daughters. 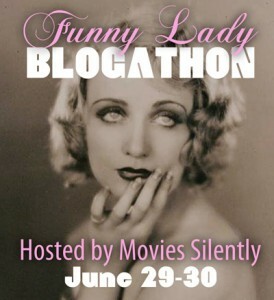 Garfield’s debut is incendiary, Priscilla Lane is adorable, and Claude Rains is high on my list of imaginary fathers. Curtiz makes the family’s household so cozy, I want them to adopt me. Honorable mentions: Romance on the High Seas, The Unsuspected, The Kennel Murder Case, and of course Casablanca and Mildred Pierce. My favourite Curtiz film has to be ‘Casablanca’. I’ve fallen in love with the film time and time again through the context, actors, script, cinematography and direction. For me this is a film that sums up to perfection. I am compelled by Curtiz every time I watch this film as he takes me away from my mundane life and worries to feel the love and war that Rick and Ilsa are experiencing. As a film student, I am also studying ‘Casablanca’ and I am also completely astounded with Curtiz’s use of the tight budget he was given by Warner Bros. He works exceptionally when it comes to films and commerciality, but what makes ‘Casablanca’ stand out even more for me, is that not only did Curtiz make money for the studio, he also created a master piece- a work of art that has and will be treasured as a Golden Age classic for decades to come. Hi Ismah, I haven’t seen your tweet yet. Could you please confirm that you tweeted, or just let me know if you don’t have a twitter account. Thanks! Michael Curtiz directed some of my favorite films and I’d love to learn some background! 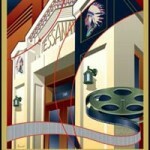 It’s impossible for me not to pick “Casablanca,” for the film is one of the greatest Hollywood films of all time. Curtiz made other magnificent films (“The Adventures of Robin Hood,” “Yankee Doodle Dandy,” “Mildred Pierce,” “The Breaking Point” and so many others) over several decades, but “Casablanca” – well, it’s “Casablanca,” with all of its WWII intrigue and romance, Bogart & Bergman, Claude Rains and the rest of one of the very best ensemble casts ever put together, “As Time Goes By,” that incredible screenplay by the Epstein brothers and Howard Koch, Max Steiner’s score – and Bergman’s and Madeleine Lebeau’s costumes in particular by Orry-Kelly. All of it. 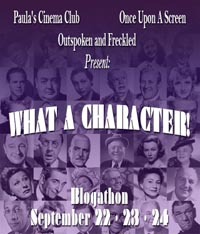 “Casablanca”, and I’d like to win because I’m friends with Alan, my favorite former sailor and fellow noir fan.